Our mission is to spread yoga throughout the continent and maintain the integrity of Swami Satyananda’s original teachings. We were established in 2004 under the inspiration of Swami Niranjanananda Saraswati. The courses held by Satyananda Yoga Academy Europe combine residential stays with several months of guided study and home practice. During residentials, students immerse themselves in a yogic routine; at home, they integrate practices into daily life. Our courses are modelled on those taught at Bihar Yoga Bharati, Institute for Advanced Studies in Yogic Sciences, the first of its kind in the world wholly devoted to the subject of yoga. They are rooted in traditional teachings, but they also include contemporary scientific theory. They reflect Swami Satyananda’s belief that yoga is a practical science that helps people manage the demands of a modern lifestyle. Our yogic studies courses are for committed students who want to develop their experience of yoga and establish it as part of their daily life. Our teacher training courses are for experienced students who want to transmit Swami Satyananda’s and Swami Niranjan’s teachings faithfully. 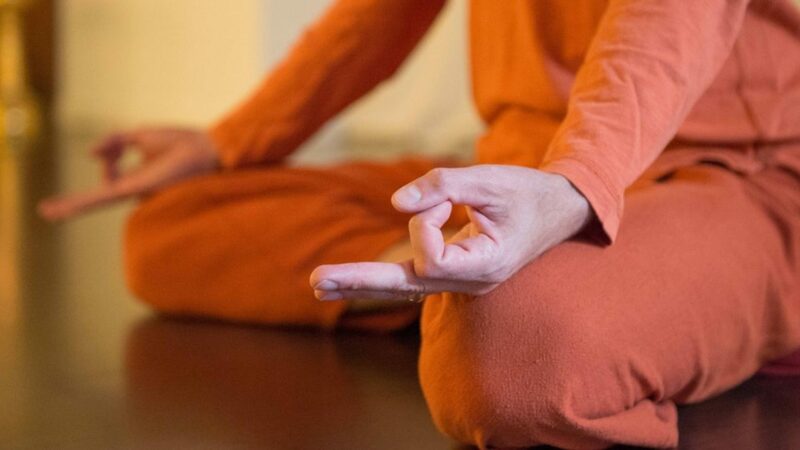 Open to both beginners and longer-term practitioners, this course explores the key elements of the Satyananda Yoga tradition and it provides an understanding of yogic concepts and practices that can be applied in daily life. This course outlines the philosophical systems of yoga – Tantra, Samkhya and Vedanta – and how these are applied in the Satyananda system of Yoga. It includes studying Patanjali’s Yoga Sutras, Bhagavad Gita and the Chakra System in theory and practice. SATYANANDA YOGA® is a broad system that combines techniques from all branches of classical yoga. While it includes well-known classroom practices (such as asana, pranayama and meditation), it also integrates lesser-known practices, such as karma yoga and bhakti yoga. There is a strong emphasis on yogic lifestyle. The aim of Satyananda Yoga is not to master physical postures: it is to use the wide range of tools available to come to know ourselves better, to live a more harmonious life, and to fulfil our full potential.